One of the things I tend to avoid is a regular review of all portfolio holdings. It is much more fun to look at new companies than to refresh the analysis on the existing companies. As I usually scale into a position slowly, I somtimes get distracted or disturbed by stock price movements or fundamental changes. As a result, the number of position in the portfolio increases over time and in my opinion this makes it much harder to focus. As November is a quite dull month anyway it might also be a good month to review the portfolio. In a first step I will look “high level” at all positions and try to come up with a “conviction” level which has only three levels: HIGH, MEDIUM, LOW and a short descritpion why this is the case. I will therefore “upgrade” Installux, Dart Group and the IVG Convertible to “full” 5% positions. 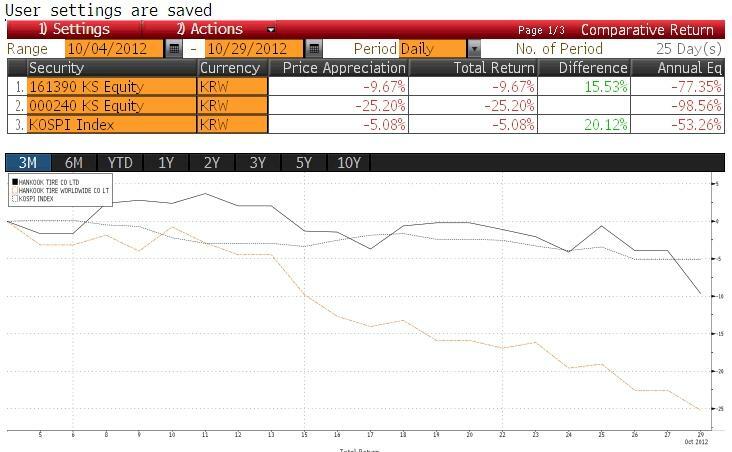 On the other hand I will sell Mapfre, Fortum, EVN and OMV and close the Kabel Deutschland Short. For Rhoen, I will increase to 2.5%, as I am still in the “early” stage of the investment but so far it goes according to plan. After this exercise, the portfolio will be around 90 net long, which is kind of the “Normal” allocation. The first thesis obviously was not correct. Both, EVN’s and Fortum’s Earnings decreased from the 2010 level which was the basis of the analysis. Although their balance sheets are comparably stronger, stock prcie performance was only average against the non-PIIGS peers. In relative terms, the stocks are more expensive. At the moment I just don’t really have an invetsment case for all three companies any more. They look kind of cheap but I do not have a clear view if they will earn their cost of capital going forward. The classical utiliyt business model has been somehow disrupted by alternative energy. Maybe I invest into them at a later stage, but currently I just do not have any special insight why they should be superior investments. I already sold Fortum and OMV yesterday at October 30th prices as well as the increase in Rhoen Klinikum shares. Damodara about sunk costs and “portfolio maintenance”. Accell Group NV designs and manufactures racing, children’s, hybrid, mountain, electric, and luxury bicycles. The Company manufactures its bikes under the brands Batavus, Hercules, Koga-Miyata, Lapierre, Mercier, Loekie, Sparta and Winora. Accell also makes bicycle accessories and fitness equipment. The Company markets its products in Northern and Central Europe. So the company looks cheap from a P/E perspective, but expensive from an EV/EBITDA point of view. Debt to Equity is ~56% or 5.12 EUR net debt per share. I guess this is mostly due to the fact that the bicycle producers have gained from two major tailwinds: high fuel prices and E-Bikes. One can also see that Accell looks relatively cheap on a P/E and P/B basis. – the European market is protected by a heavy 48.5% tariff. According to the Bloomberg article, this has been extended 3 years until 2014. But if this falls, the European producers would be in big difficulties soon. A good general source for market data, news etc. is this website. The industry has/had some secular tailwinds, however the overall competitive landscape is average. Combined with the really expensive overall valuation, the listed companies look vulnerable to a certain extent. The success of the European producers might also be a result of the massive tariffs for Chinese manufacturers, so there is also some kind of “regulatory” risk. However I also showed EPS and EBITDA per share over this period. The strange thing is that EBITDA per share and earnings per share more or less “converged” whereas in earlier years, the relationship EBITDA to EPS was on average 2:1. This is the result realized with the sale of the in 2011 acquired 22% investment in Derby Cycle AG. The result consists of the capital gain less corresponding expenses. So this was a nice but one-time gain during the (short) fight for Derby cycle, the German listed bicycle manufacturer where Accell lost out against Dutch competitor Pon. The effective tax rate is the tax burden relating to the book year divided by profit before tax. The effective tax burden amounts to 20.6% (2009: 27.5%). Accell Group and the Dutch tax authorities agreed on the applicability of the so-called patent/innovation box. For the years 2007 – 2009 part of the Dutch taxable profit is taxed against a tax rate of 10% (instead of 25,5%), resulting in a refund of b 1.7 milion. In 2010 part of the Dutch taxable profit is taxed against a tax rate of 5% (instead of 25,5%) resulting in a tax saving of approx. b 1.0 milion. In accordance with IAS 12 a tax receivable is recorded as tax receivable for an amount of b 2.7 milion. So just based on those 2 examples, I would already state that “earnings quality” at least in 2010 and 2011 is somehow mixed. Especially the 2011 result would look a lot worse than reported if they wouldn’t have the gain. So in short, despite the fantastic score, the company at the moment does not look attractive to me. Past profitability seems to be clearly above the historical achievable mean. As I don’t by in principle into “stories” like E-bikes, I will not invest in the stock. – or a margin of safety in the business model (moat, Buffet style). Accell in my opinion has neither. Maybe they will make a ton of money with E-Bikes or not. I don’t know. But if things get worse, there is not real downside protection for the stock. As a value investor one should not speculate on stories or secular trend, because they can change more quickly as one might think (see Solar). Retailer with UK exposure, market cap 200 mn EUR. Struggling lately (loss in first 6 month 2012). Might be interesting. Bestinver holds 10%. Also interesting. Mkt. cap 100 mn EUR. Seems to process food but is also active in chemical business. Loss 2nd half of 2011 and first half of 2012. Market Cap. 80 mn EUR. Producer of cooling systems and air polution control. Relatively large US activities. Construction & engineering company, 46% owned by Vinci. Thinly traded supplier to Airbus & Co. 98% owned by Dassault and Focker. Large cap (4bn). Interesting business model (collects and sells geological data). Coffee distribution and plastic packaging. Market cap 900 mn, food distributor. Very stable margins. Summary: So all in all some really interesting companies to research in the Benelux area. I guess Accell and Macintosh will be my first priority. The first issue is something one has with almost all UK groups. Anglo Saxon companies are almost always “capital light”. I guess the reason is that there are so many active PE investors, raiders, activists etc., which make sure that a well capitalized company will not long stay well capitalized. Generally, the higher the ROE & ROIC the higher the price book valuation. With the exception of Kier, there is also a clear relationship between WC to sales and ROE and ROIC. Especially the Dutch companies seem to have to fund a lot of their working capital themselves. Interestingly those companies also operate at a loss level. For me it is very interesting to see how the UK companies seem to have changed their business models to a certain extent. Interestingly, the largest company Balfour seems not to be able to create any advantage out of their market share, which according to this list of UK construction market share for 2011 was around 15%. On the same page, there are also a lot of news about the UK construction sector. All in all it doesn’t look pretty, it seems to be that 2012 seems to be even worse than 2008 at least in the UK. That might be the reason why UK construction groups look so cheap. If we go back to Morgan Sindall, I see another issue: There is not a lot of mean reversion potential. Morgan Sindall is only 10% below its average profit margin. Historically they were values ~10 P/E and 4.7 x EV/EBITDA which is more or less where they are today. Combined with a clearly donwtrending ROE (both, absolute and under “boss” definition”, I will pass over Morgan Sindall for the time being. Nevertheless I want to follow up more on “negative working capital” companies because I firmly believe there is a lot of hidden value in such business models. 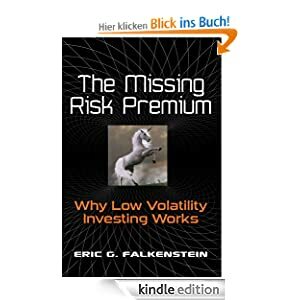 Eric Falkenstein might be well know through his Falkenblog. Hi is an outspoken critic of “classical” finance theory, especially the CAPM and its derivatives. His main thesis is that there is no risk premium for riskier investments. In his new, self published book (I have read the Kindle version), he starts with the history of the CAPM (MArkowitz &Co). In “traditional” academic theory, many of those anomalies are often related to behavioural biases, such as lottery tickets etc. However he goes further, formulating his own theory why a risk premium does not exist. I have to admit that I read quite quickly over that one, but the issue according to him is that one should use relative utility functions instead of absolute utility functions. At the end, he briefly discusses how one can outperform the market easily with low volatility stocks. One possibility would be minimum variance portfolios (MVP), the other a subset of an Index with stocks which have a beta of around 1. Additionally he makes a very good point that typical pension fund asset allocation (i.e. allocating into hedgefunds to generate higher long term returns) will most likely not yield the expected results. – what he misses in my opinion is the fact, that all this is common knowledge among value investors. Value investing doesn’t assume efficient markets and it also ignores stock price volatility as one is concentrating on fundamentals only. So a typical value investor clearly is indifferent about stock price volatility and does not believe that more volatile stocks produce higher returns. Maybe as an academic you need a complicated formula to prove this, as a value practitioner one simply knows that “safe & cheap” stocks will outperform over time. Overall I would say for a typical value investor, you might not need to read the book. If you are more interested in general financial theory and want to have a good update of the current empirical status then it might be a good investment. The kindle version is actually quite cheap at 8 EUR or so. For me personally, it somehow validates the result of my “boss” model. The Boss model identifies stocks with low fundamental volatility. Low fundamental volatility very often transforms into low beta, cheap valuation and high potential returns.